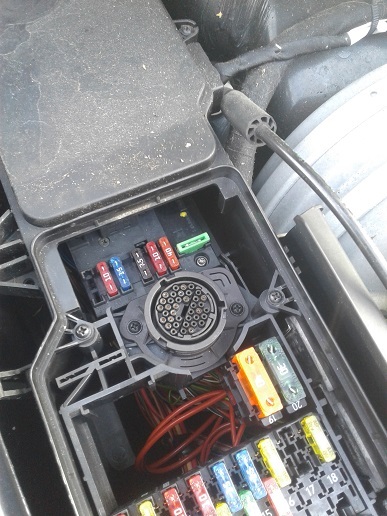 Mercedes W210 E320 E270 CDi glowplug relay repair. If your glowplug light stays on after the warm up phase of running your engine. 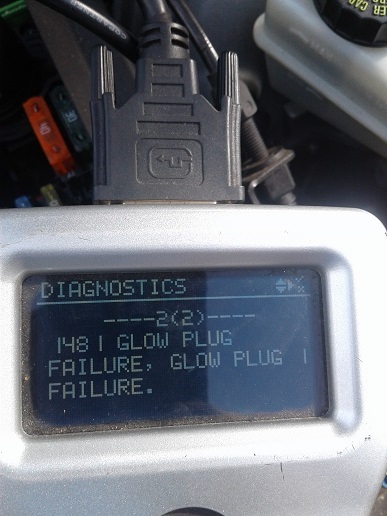 More than likely you have a failed glowplug - these can be tested by using a 12v test light to ground thru them. With a multimeter most good glowplugs measure less than 1.0 Ohm resistance. Bosch or Beru plugs have a lower internal resistance than NGK or genuine Merc plugs. So thus relay lifespans are higher using lower resistance plugs. 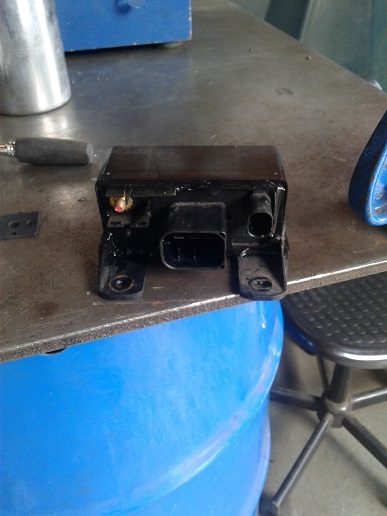 So if you have checked your glowplugs and they work - more than likely, the power hold relay has failed (glowplug relay). 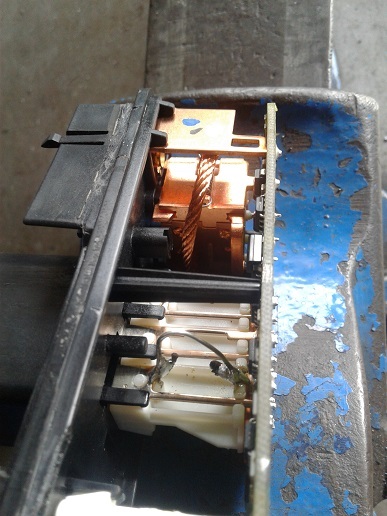 Or a glowplug has failed and has damaged the fused lnk in the relay. Sykes code reader with 16pin to Merc plug adapter. 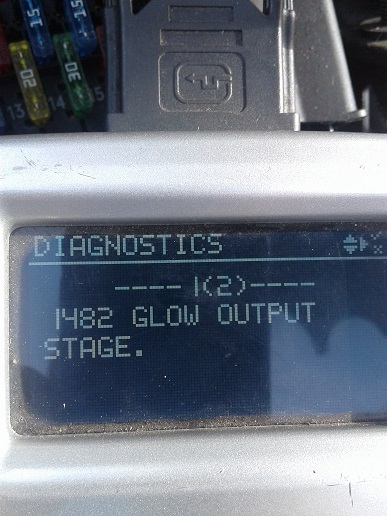 Glowplug fault - but glow plug was OK.
Glowplug relay fault - not clear is it? 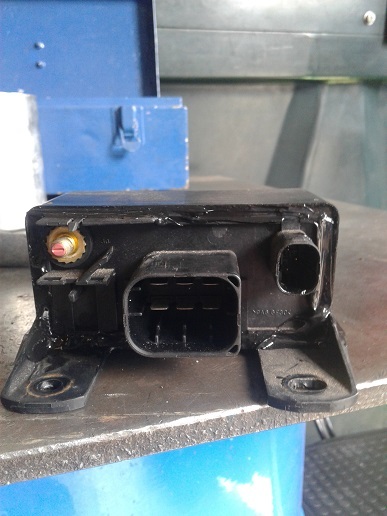 Glowplug relay - nearside inner wing, availiable from Merc specialists for £120 + VAT. Mercedes dealers want £160 + VAT. Cut sealant from face seal - prise away outer plastic case. 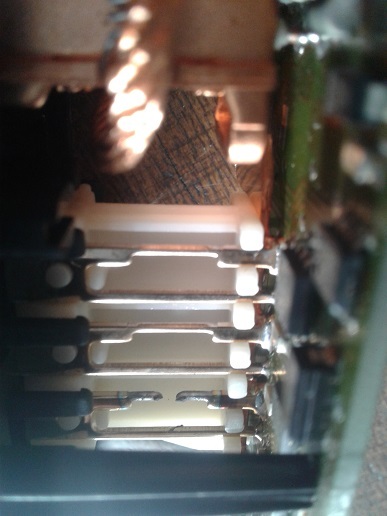 To reveal - 30 amp fuse link to NO1 glowplug has failed (same as faultcode recoreded). 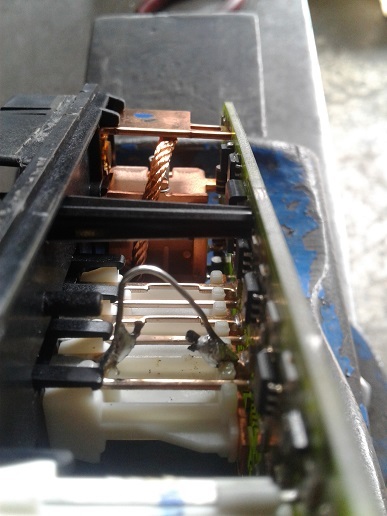 Solder in a short length of 30 amp fuse wire. Make sure you solder joints are big enough to handle a 30amp load at 12volts (just make them huge and ugly). Resealed with black RTV but you could use "any silicone sealant". 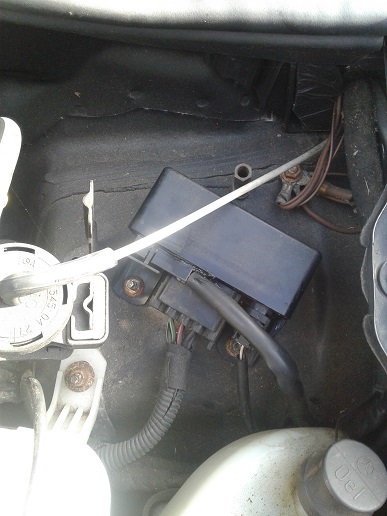 Fixed - if you can't do it - bring the relay (or car) to my workshop at PE301FB - I will charge you £60 for the job! (far cheaper than a new relay!). Mercedes dealer will want £160 + vat for the relay - and "god knows how much labour?" 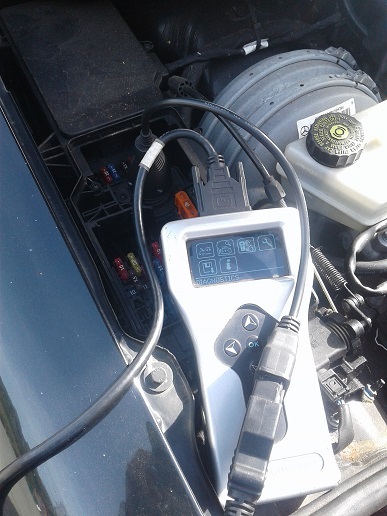 - to diagnose it and fit it at £100 an hour plus VAT.